Publicado en Movie Monthly de septiembre de 1925. 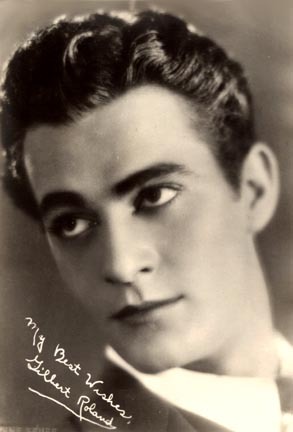 En clara alusión a Rodolfo Valentino la nota tiene como título Nuevo sheik contratado, futuro que se le auguraba a Gilbert Roland, quien ya tenía un par de filmes acreditados y varias apariciones como extra, entre las que sobresale The Lost World (1925) con Wallace Beery y Bessie Love. B. P. Schulberg introduced a new screen sheik to the movie colony the other day. He travels by the name of Gilbert Roland, and there are those about town who predict that he will be a sensation when he gets going. His real name is Luis Alonzo, and his dad is said to have been a Spanish bull-fighter. The boy was born in Chihuahua, Mexico, which isn’t nearly so hard to pronounce as it looks, but raiders drove the family out of Mexico and they came to California some five years ago. Gilbert might be remembered as the bull-fighter in The Siren of Seville and later in The Spaniard. Schulberg’s first job for him will be as a college boy in The Plastic Age. 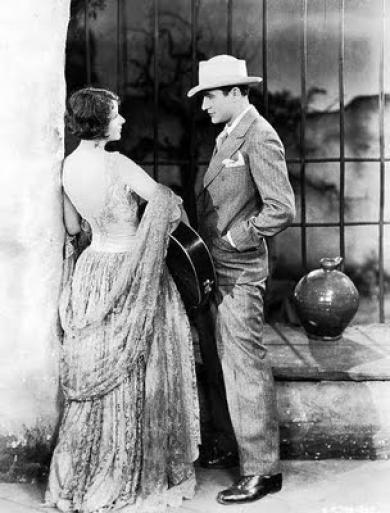 La primera aparición de Gilbert Roland en una película producida por Schulberg fue The Plastic Age, cinta basada en la novela de Percy Marks del mismo nombre con adaptación de Eve Unsell y Wesley Ruggles, quien también la dirigió. Las estrellas del filme fueron Clara Bow y Donald Keith y se estrenó el 15 de diciembre de 1925. La trama gira en torno a una universitaria amante de las fiestas y el atlético estudiante enamorado de ella. Varias futuras figuras del cine aparecen en pantalla como estudiantes, pero sin crédito: Clark Gable, Carole Lombard y Janet Gaynor. 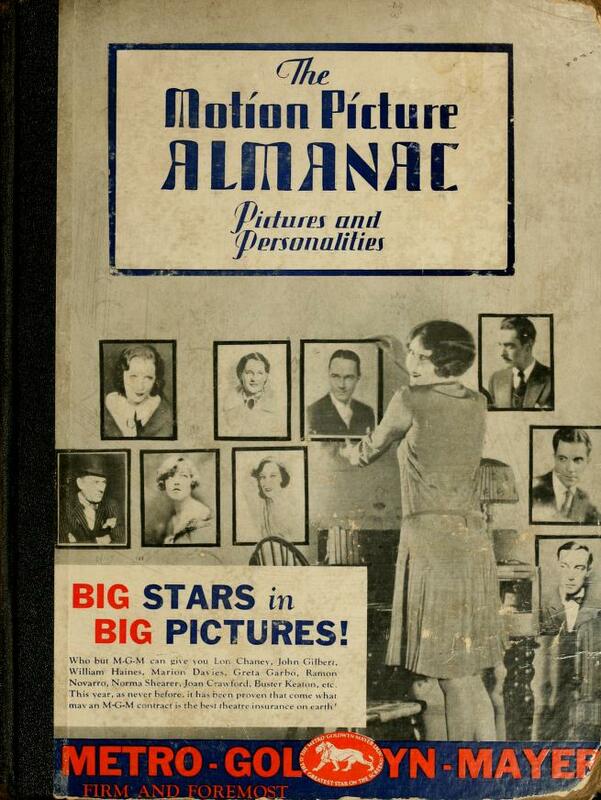 Interesante anuncio que la United Artists publica en la página 17 del Motion Picture News Booking Guide 1929. Entre los 35 personajes de la compañía aparecen tres mexicanos: Dolors del Río, Lupe Vélez y Gilbert Roland. Los tres, estrellas indiscutibles del cine mudo norteamericano. 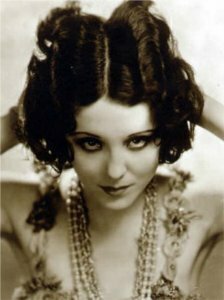 Todos conocemos a Dolores del Río, Lupe Velez o Ramón Novaro, destacados interpretes mexicanos durante la época muda de Hollywood. Sin embargo también hubo otros no tan famosos, pero que, al menos, en las revistas de la década de los veinte del siglo pasado eran mencionados y mostraban breves semblanzas de ellos. Tomado de THE MOTION PICTURE ALMANAC, 1929, transcribo la información sobre un puñado de mexicanos que aportaron su grano de arena al cine americano. La información es mínima: nombre real, lugar de nacimiento, complexión, padres, educación, pasatiempos y trabajos actorales. Consideremos que varios de ellos continuaron sus carreras hasta los cincuenta y sesentas, así pues, lo transcrito se refiere a lo hecho por ellos hasta 1929. DELMAR, ROSITA: real name: Rosita De Los Angeles; b. Chihuahua State, Mexico, November 20, 1910; h. 5 feet; black hair and dark brown eyes; w. 104 pounds; parents Teresa Estavillo and Antonio De Los Angeles, non-professionals; educated at El Centro High School; hobby: swimming, dancing singing, books and acting. Dancer in Smaroff’s Revue and also at the West Coast theatres in Los Angeles for about six months. Started her screen career with small parts and bits with Warner Brothers and Metro-Goldwyn-Mayer. Has appeared in “The Tide of the Empire”, Allan Dwan production; “Noah’s Ark” for Warner Brothers, and “Erik the Great” for Universal. EMERY, MARY: b. Monterey, Mexico, October 4; h. 5 feet 3 inches; dark brown hair and eyes; w. 118 pounds; parents are San Juana Pena [probablemente sea Peña] and Maximillian Cabazos, non-professionals; educated in San Antonio, Tex., Girls school and at Lady of the Lake, has had stage training in dancing; not married; hobby: art. Stage experience at the writer’s Club in Los Angeles. 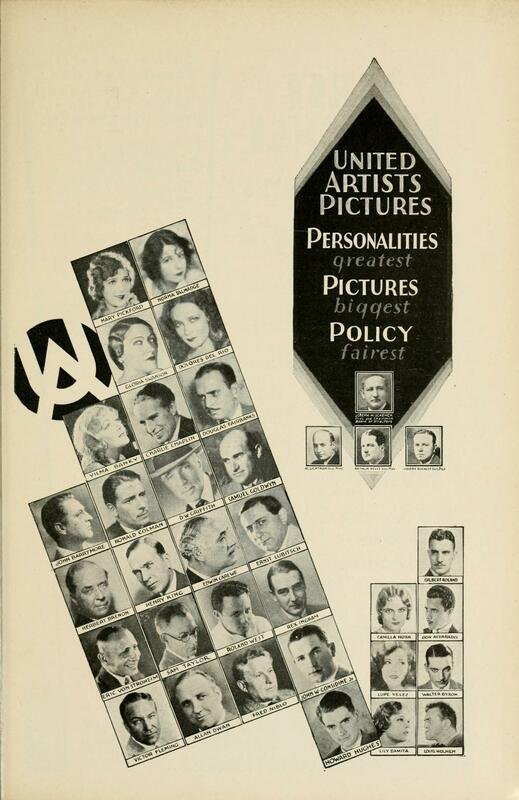 Has been in pictures for three years and appeared with Lila lee and Jack Holt as the telephone operator in “The Stage Door” for Paramount; the heavy in Universal’s “The Millionaire” with Jack Conway; in the Burton King production “Divorce Ahead” as the heavy; the stage part in Melville Brown’s “Geraldine”; and the maid’s part in William DeMille’s production, “Craig’s Wife”. LEWIS, GEORGE: b. Mexico City, Mexico, December 10; h. 6 feet; brown hair and eyes; w. 175 pounds; parents, non-professionals; educated at San Diego high school; married to Mary Lo Lohman;non-professional; hobby: outdoor sports; appeared in amateur theatricals; in pictures for three years and has been with the Pickford-Fairbanks and Universal Studios. Among the pictures in which he has appeared are “His People”, “The Old Soak”, “13 Washington Square”, “Honeymoon Flats”, “The Four Flushers”, “Give and Take”, and “The Collegians”. RICA, MONA: real name: Enriqueta Valenzuela; b. 15 de julio de 1909, Mexico City, Mexico, July 15, 1909; h. 5 feet 2 inches; brown hair and eyes; w. 113 pounds; educated in Mexico City and in a convent; hobby: music. Has appeared in the picture “Eternal Love”. ROLAND, GILBERT: real name: Luis Antonio Damaso De Alonso; b. Juarez, Mexico, December 11, 1905; h. 5 feet 11 inches; black hair and brown eyes; w. 165 pounds; parents, Mr. and Mrs. Francisco Alonso, non-professionals; educated in private schools in Mexico. 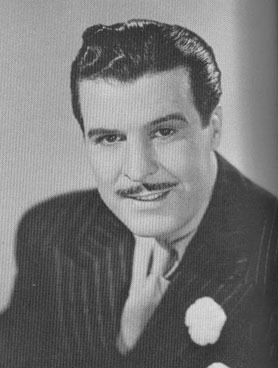 He has appeared in “The Plastic Age”, “The Campus Flirt” in support of Bebe Daniels; “The Blonde Saint” for First National; in “Camille” as leading man for Norma Talmadge, First National picture; and in “The Dove” and “The Woman Disputed”, also as leading man for Norma Talmadge, United Artists production. TORRES, RAQUEL:b. Hermosillo, Sonora, Mexico, November 11, 1908; h. 5 feet 2 inches; black hair and dark brown eyes; w. 110 pounds; parents non-professionals; educated in Mexico and convent in Los Angeles; hobby: dancing. Has appeared in such pictures as “White Shadows in the South Seas” with Monte Blue (her first picture); and also in “The Bridge of San Luis Rey”.